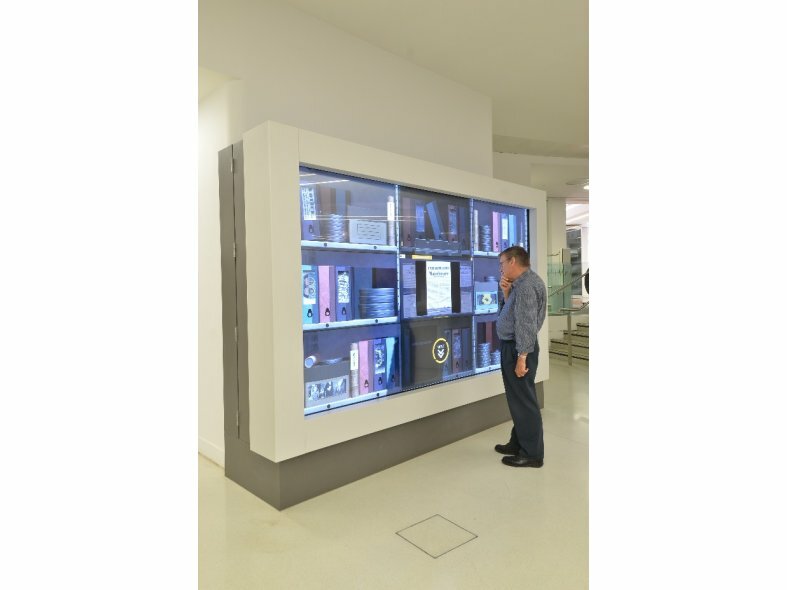 DuPont™ Corian® supplied by CD (UK) Ltd was used extensively within the tasteful modernisation of Manchester central library. The existing 1930s grade II listed building has been refurbished with the aim of increasing annual visitor numbers from one to two million. Ryder Architecture have done this by transforming the previously rather forbidding and confusing building into a welcoming series of interconnected spaces. 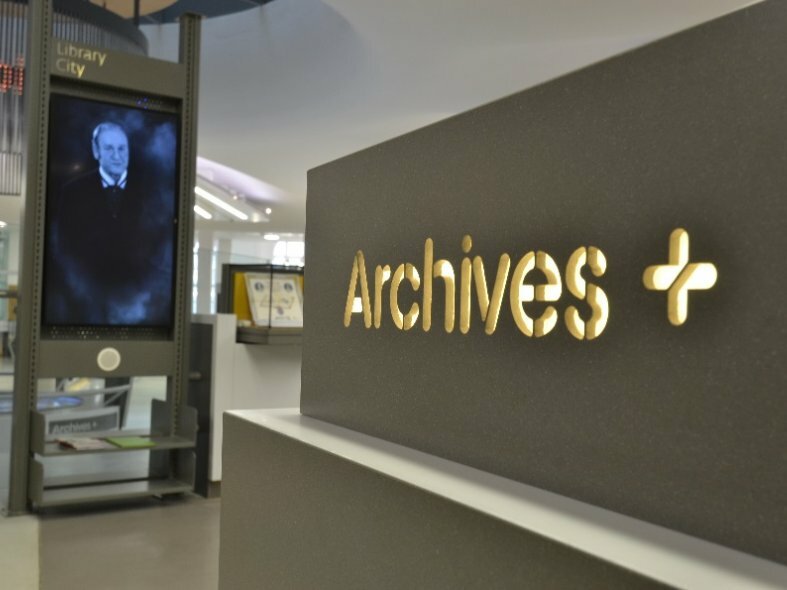 Design Consultancy Mather and Co stated 'A key part of the design brief was to allow visitors to engage with archives in new and exciting ways. It was important to throw off the stuffy image associated with archives and bring them into the digital age so that more people can interact and learn about their local and family history.' 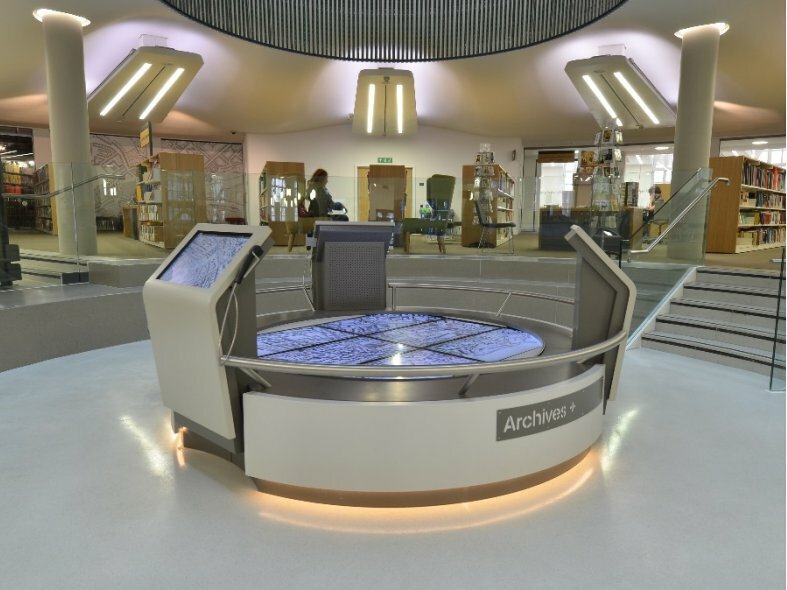 To this effect and due the design flexibility of Corian® it has been utilised on all the bespoke audio visual and interactive fixtures, thus allowing greater public access to archive and historic material and bringing back the original clarity and architectural intent of a key heritage space. 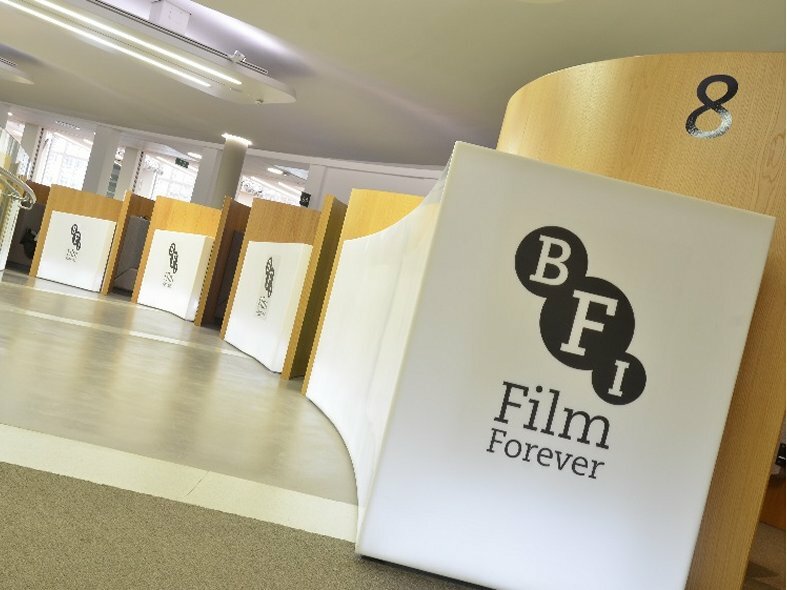 Translucent Glacier Ice Corian® has been used on circular booths in the regional hub for film with curves formed and fabricated by Gariff Construction Ltd.
A huge screen has been housed with Corian® to give it a really smart and sturdy frame. Its durability withstands general wear and tear plus any potential knocks and bangs from excited children trying to interact. 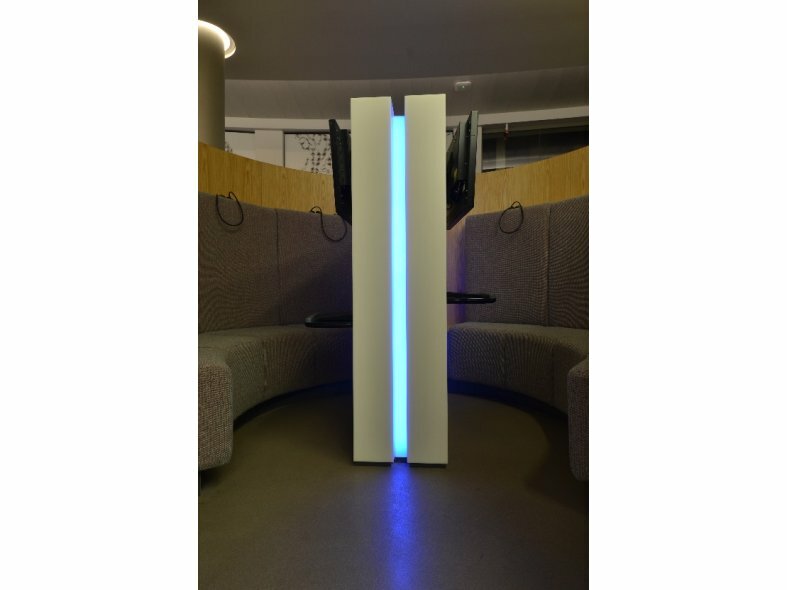 A Corian® stand sits in every booth to support opposing TV screens. Colour changing light bars run through the middle adding an extra design characteristic. Another beauty of the material is how it can be cut out with such fine detail to create lettering and symbols.